“5”: Increasing your annual income by at least 5% each year. “10”: Saving at least 10% of your net annual income. “15”: Targeting a retirement nest egg of about 15 times your annual income. “20”: Planning to have your debt (excluding your mortgage) paid down within 20 years. “We often hear customers say, ‘I don’t even know where to begin,’ when it comes to planning for their financial futures,” said David Hufnagel, Latino market director, MassMutual. “The calculator is a simple first step in creating a roadmap for the financial future of families and their loved ones.” Just a few minutes and basic financial numbers are needed to begin. Users will be guided through a series of simple questions to help address financial concerns and will receive insights on what their financial future may look like if they set – and achieve – their goals, all of which can be printed out or emailed for later reference and use. As an example, if a person has “decrease my debt” as a goal, the tool will offer possible next steps. 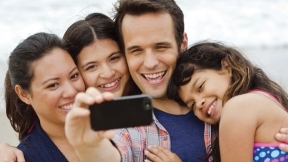 Try the new Spanish-language calculator at MassMutual.com/Latino.